Michelle Muthiani is a Senior Manager of Privacy Investigations and Operations in the Global Privacy Office at McKesson. Amongst a variety of other privacy related activities, Michelle oversees the privacy investigations and breach program for the enterprise. 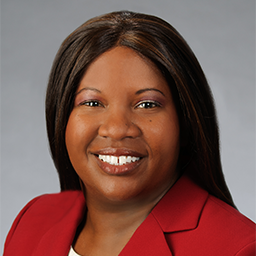 Before joining McKesson, Michelle was a Senior Associate in the Cybersecurity and Privacy Solutions group at PriceWaterhouseCoopers, where she served as a subject matter expert for privacy and data protection laws, including HIPAA and the EU’s new General Data Protection Regulation. She assessed business models and supporting processes in order to identify HIPAA breach notification obligations and provided compliance recommendations. Prior to that, she was a Senior Compliance Analyst for UnitedHealthcare where she managed the privacy incident program and supervised all privacy incident investigations and remediation efforts. She is a graduate of the University of North Carolina School of Law, Chapel Hill.